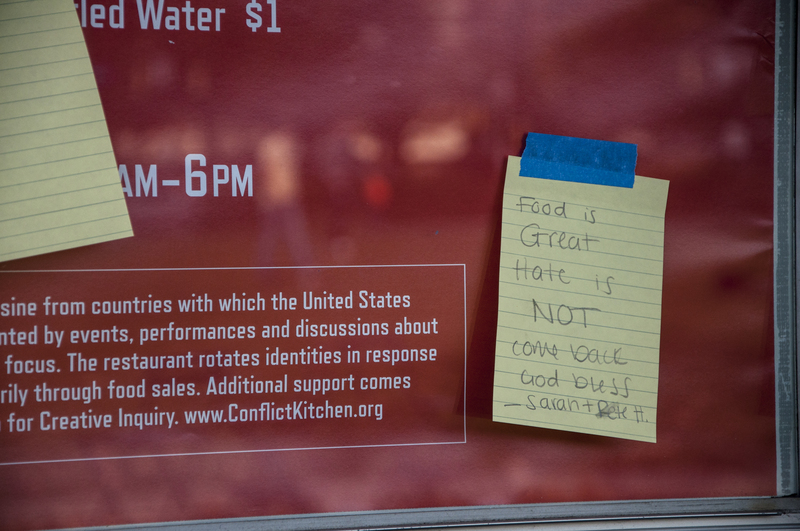 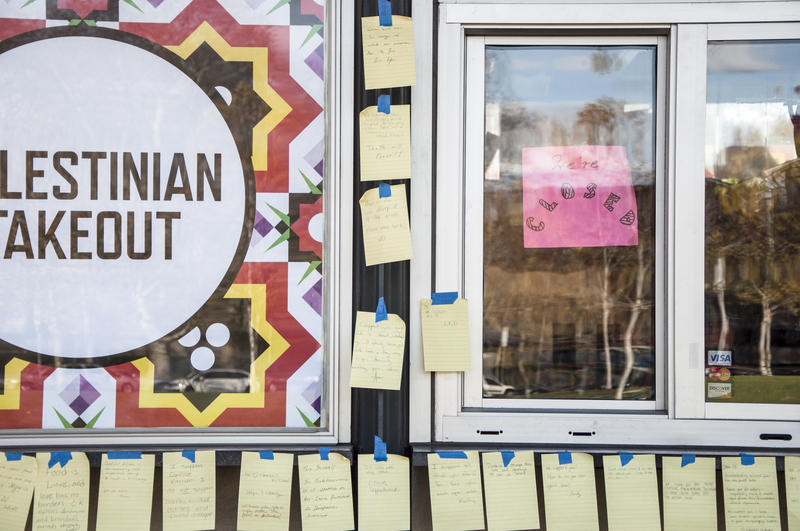 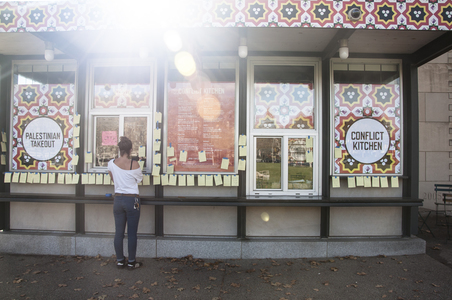 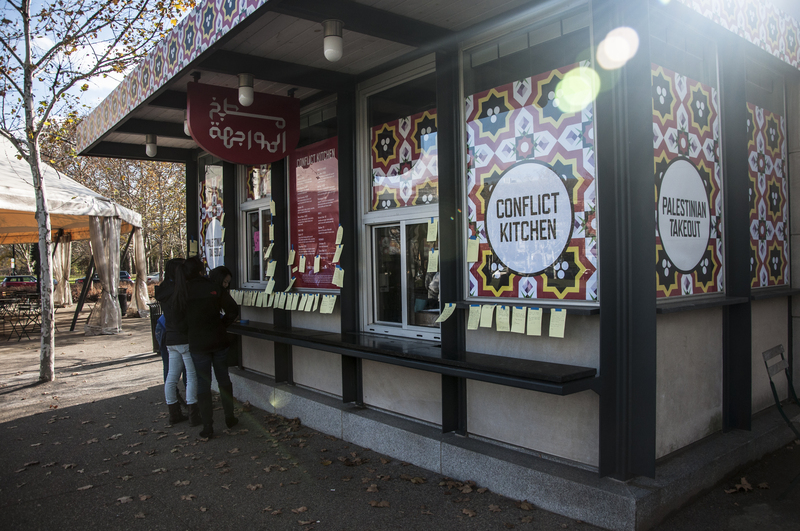 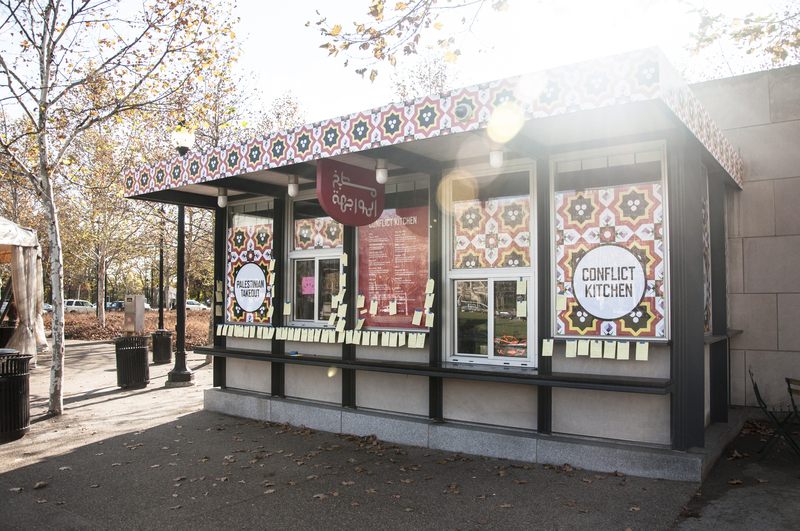 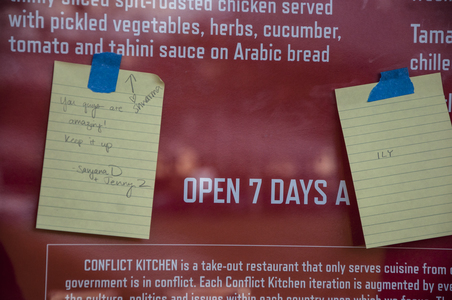 conflict kitchen was an art project in pittsburgh that operated as a food kiosk serving themed cuisine from countries the united states had been in conflict with. 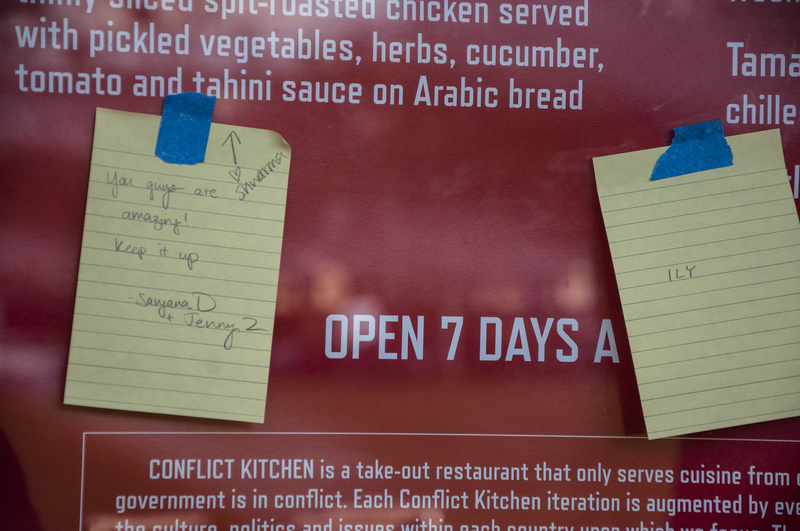 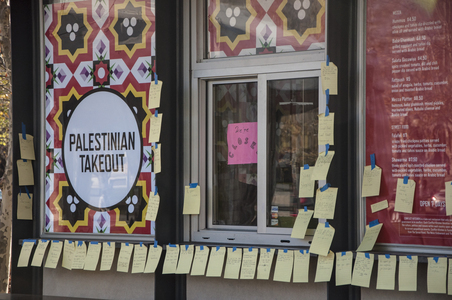 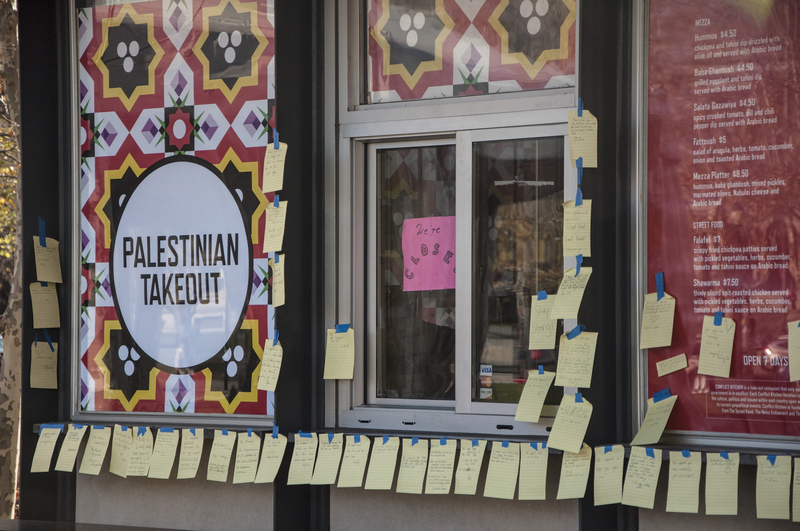 i worked there as kitchen staff in 2014, when threats against the project during the palestine version forced a closure of several days. 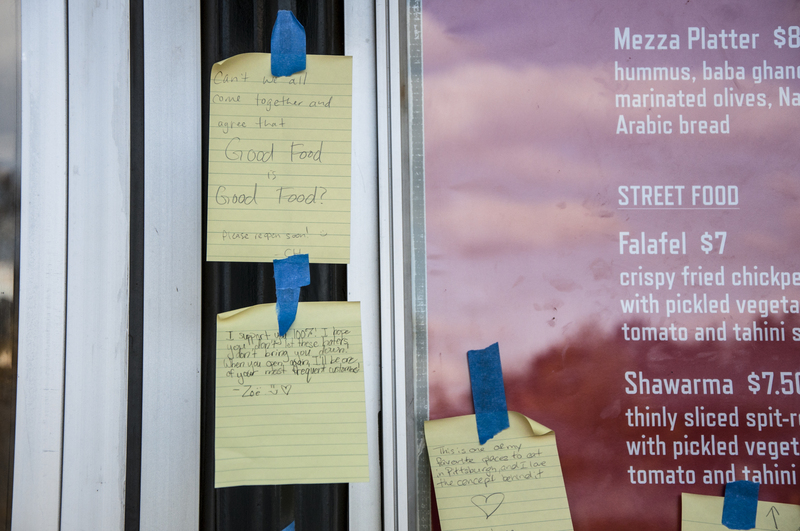 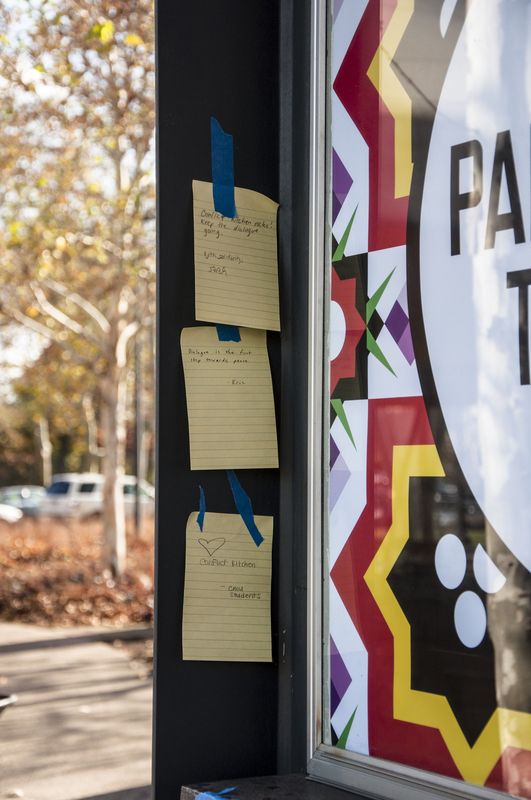 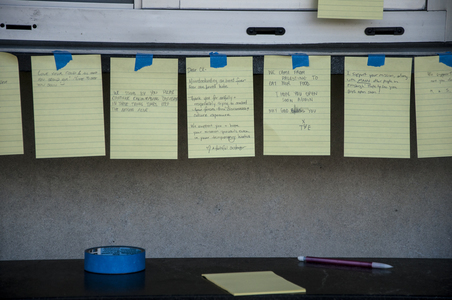 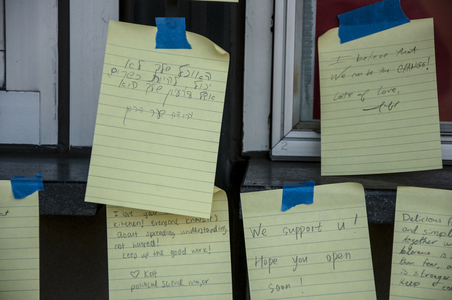 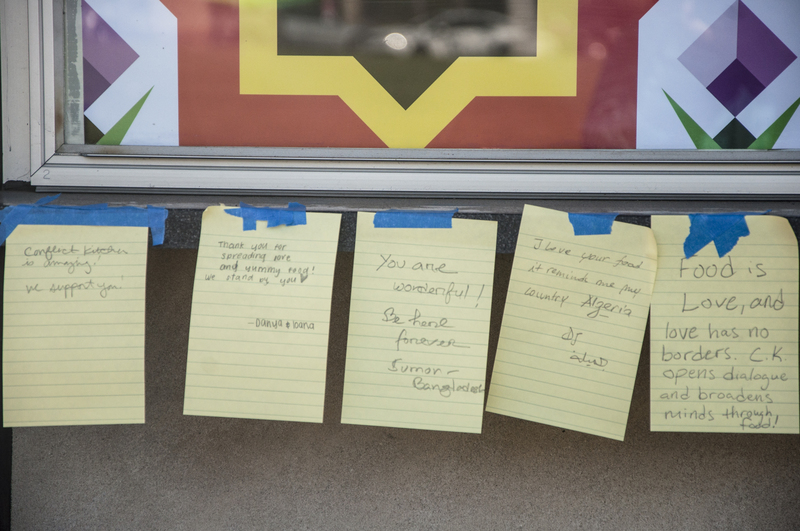 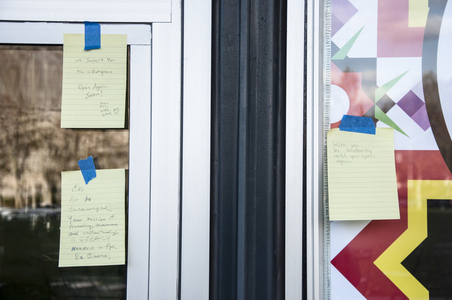 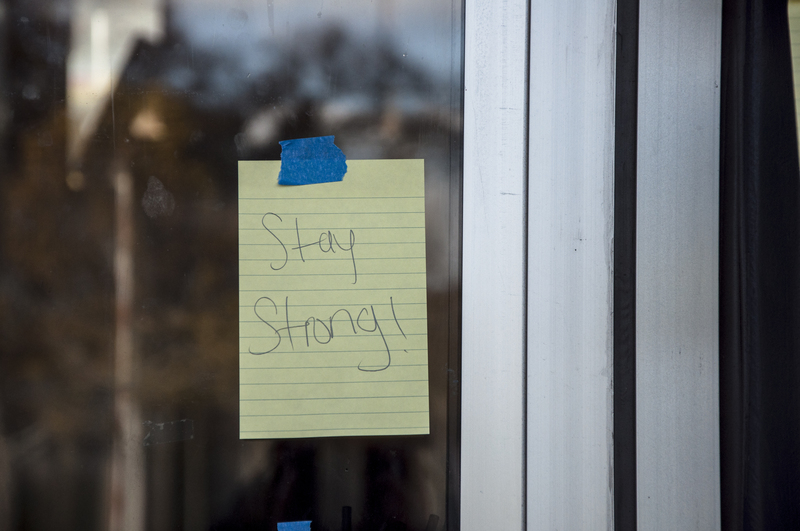 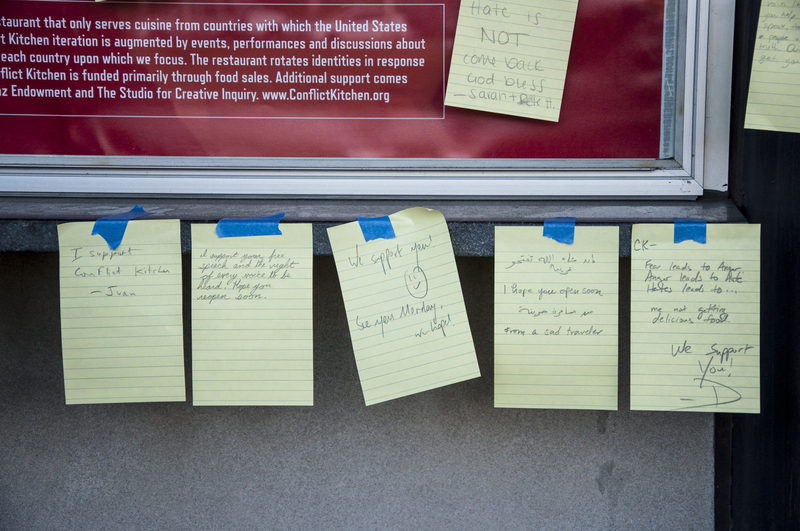 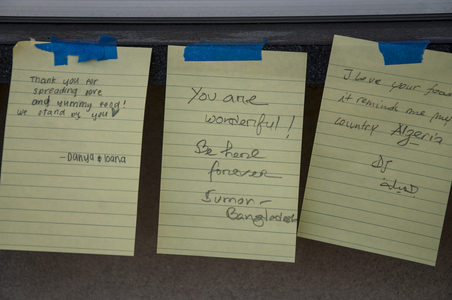 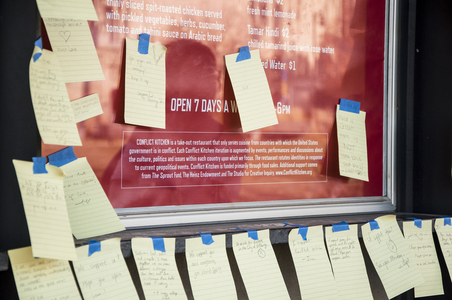 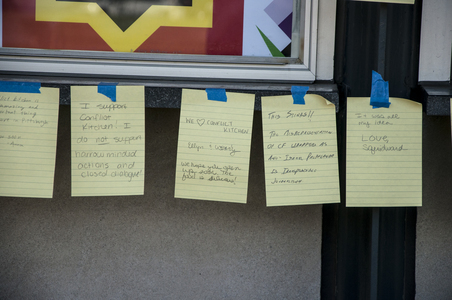 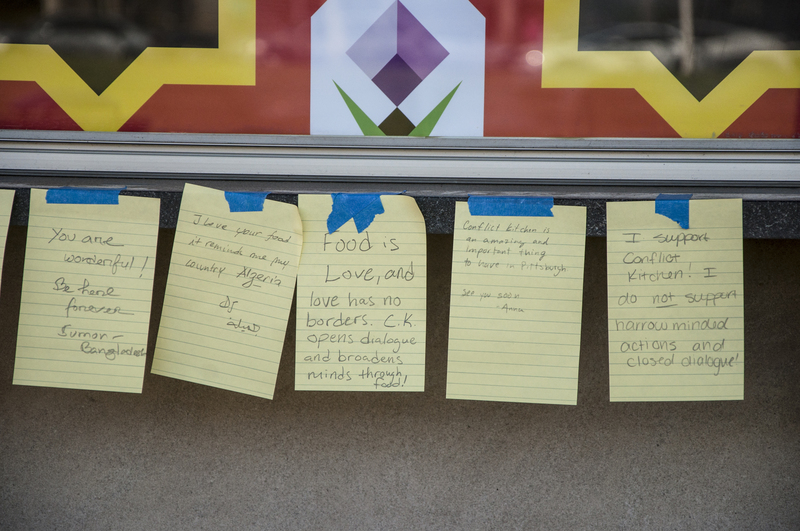 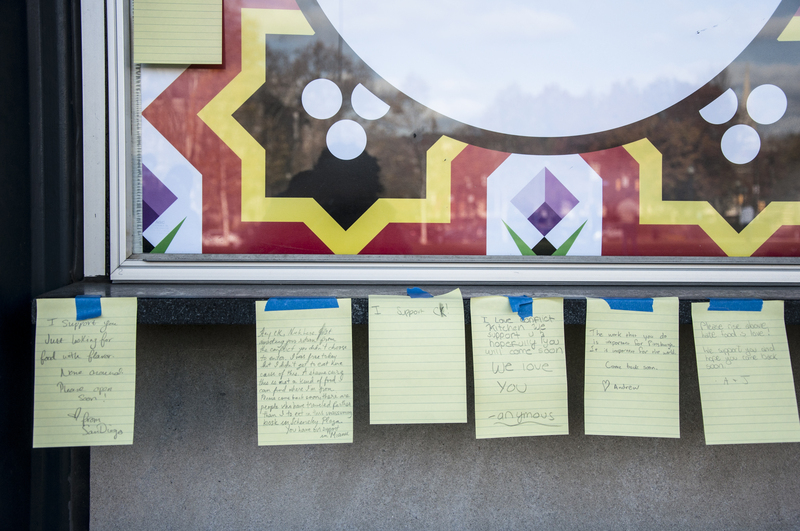 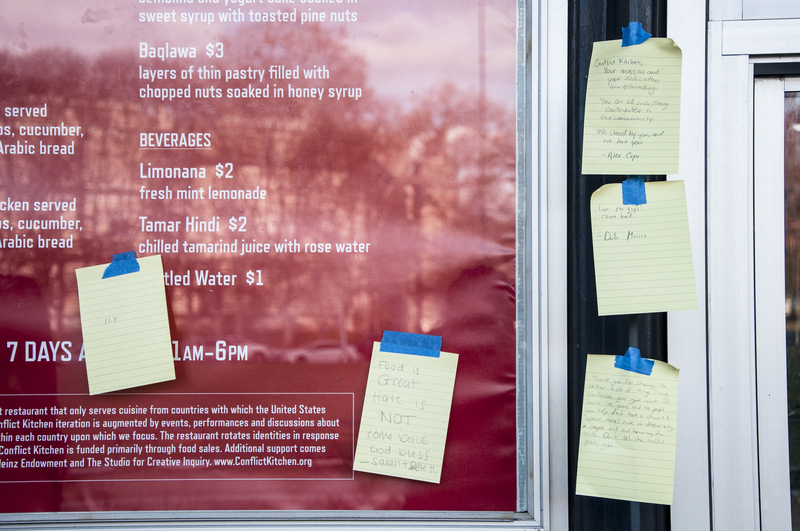 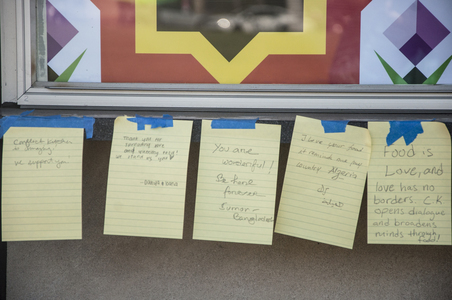 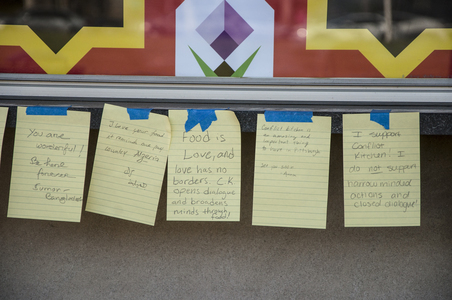 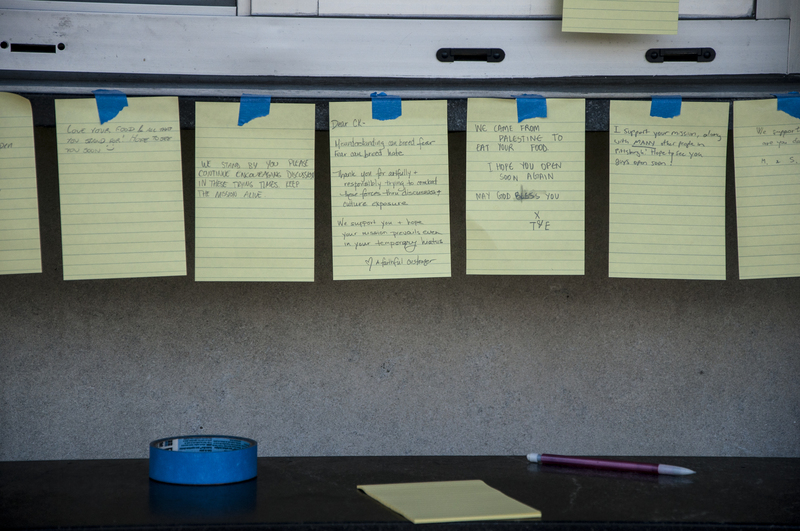 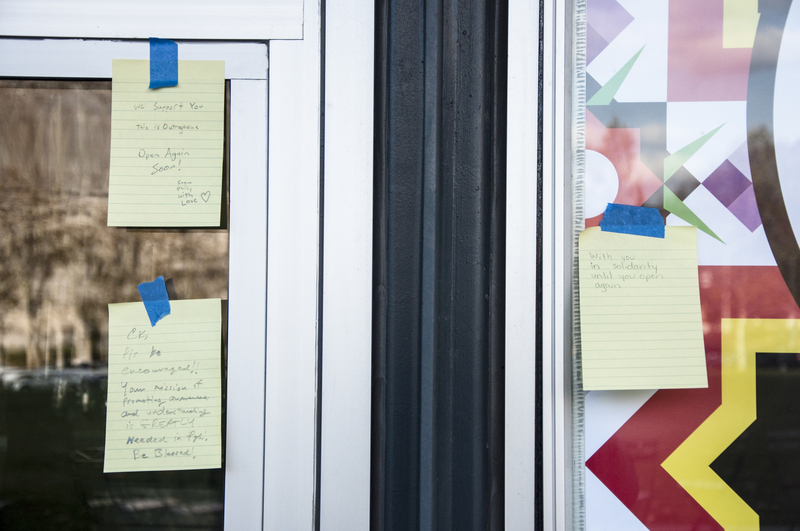 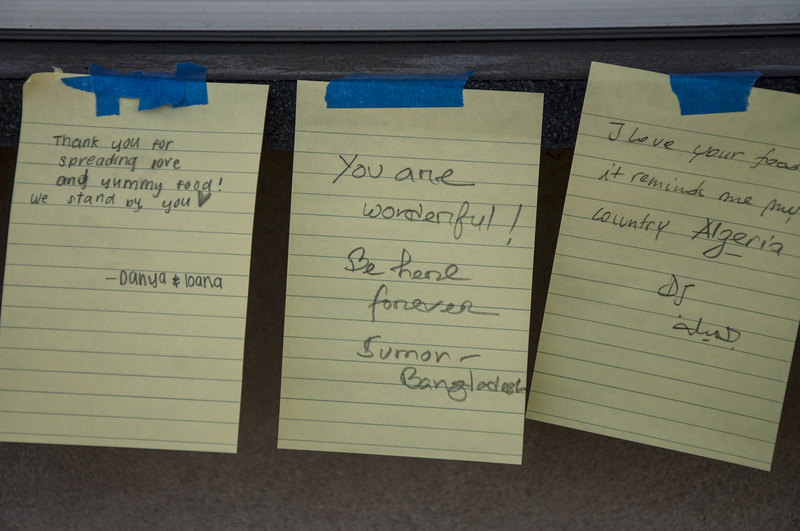 these are some of the notes left on the kiosk from the public during the closure. This roll and a half of film was supported by friends on Patreon. 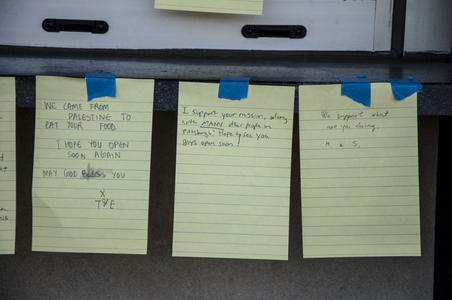 I was prompted with the phrase 'animals'.